Mark Drakeford is probably the next First Minister of Wales. Just days after Carwyn Jones revealed his plan to stand down from the Welsh Labour leadership post at party conference in Llandudno, Jeremy Corbyn ally Drakeford announced his bid and is already tipped to win the race. The Assembly Member, who says he wants to push on with the Welsh government’s “radical” tradition, has secured the support of several left-wing AMs and will be backed by Welsh Labour Grassroots (Momentum’s home in Wales). There are currently two main issues dividing Welsh Labour, and by extension Drakeford and the other candidates soon to put themselves forward. One is Jones’ handling of the harassment claims against Carl Sargeant, the minister who was subsequently found dead; the other is the voting system used in internal party elections (the choice is between one-member-one-vote and the current electoral college). 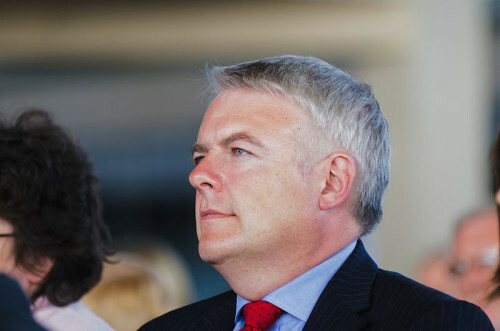 With Drakeford as leader and Carolyn Harris as the newly elected deputy, the duo would be seen in Wales as politically balanced – not on opposite ends of the Labour spectrum, but from different camps. In Westminster, however, both will be considered Corbyn-approved lefties. Such are the intricacies of Labour factions. The divisions on both issues run more or less along factional lines – that is to say, Welsh factions rather than Westminster factions. Harris, who hasn’t backed OMOV, was thought to have the support of Corbyn’s office in the deputy race. Drakeford has described himself as the “unity candidate”. He is a native Welsh speaker and has promised to serve just one term, unlike Jones’ nine-year stint. It’s thought he is likely to win the contest, whether it is run by OMOV or electoral college.